Cool Garage door that was reused! 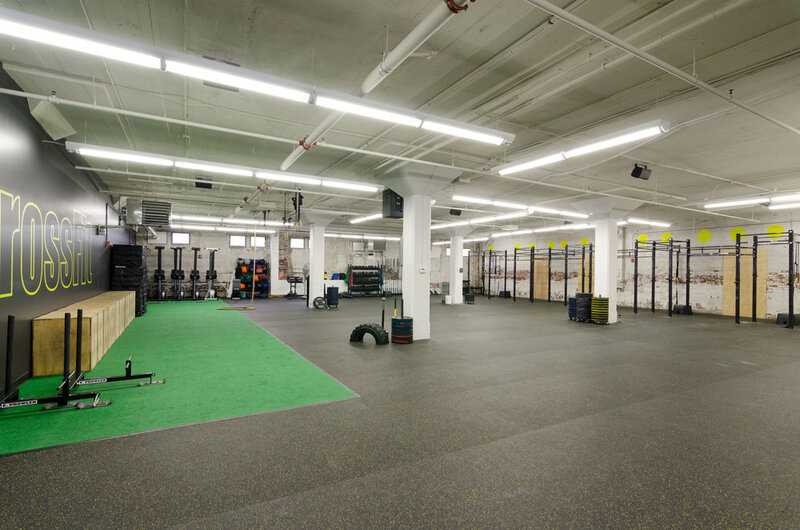 We worked with the owners to convert a parking garage below the Brookline Teen center into a usable Crossfit Space. 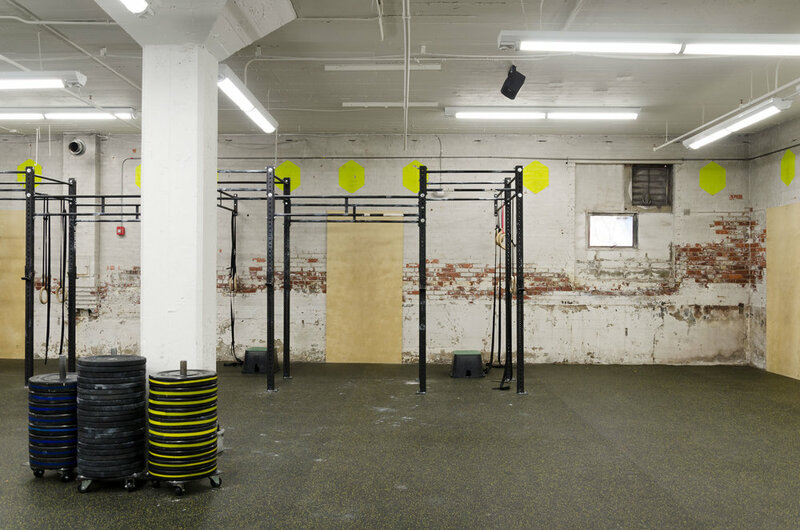 We retained the industrial brick walls and concrete columns from the original parking garage to maintain a sense of grunginess often associated with Crossfit gyms. The palette was largely a black envelope with lime green accents offset by existing the white brick walls and concrete ceilings.